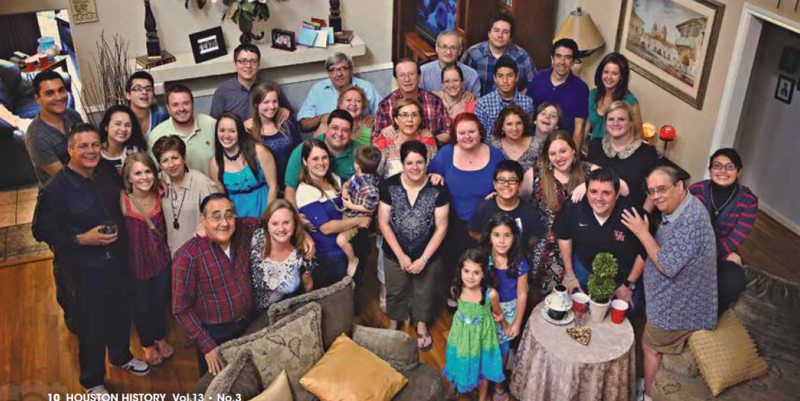 Different Generations of the La Rotta Family pose for a photo in 2014. Photo courtesy of the La Rotta Family. 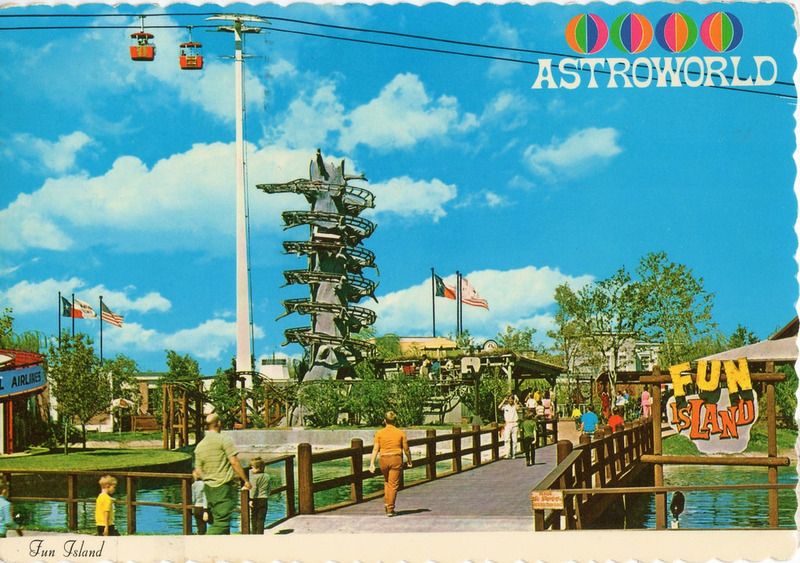 Growing up, my siblings and I occasionally asked our parents how we ended up in Houston. 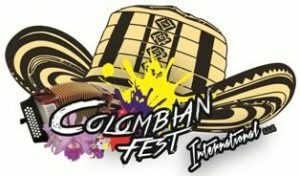 I was particularly interested in trying to find meaning in my dual Colombian-American identity. 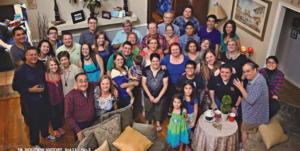 Here we were, this large Colombian family (forty-plus members and counting) spread across Houston, yet it seemed so happenstance. We did not have roots in Houston, or the United States; our family had just arrived, really, and we were trying to learn the language and culture. And the irony that my grandmother, Cecilia La Rotta, moved our family here in 1973 for the prospect of “free education” is not lost on me as a Ph.D. candidate who has spent most of his life toiling in education. Undertaking the study of my family’s immigration story accentuates that point in a positive and meaningful way. 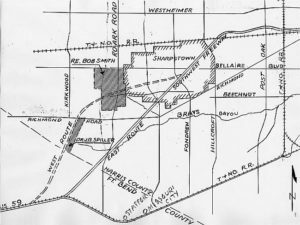 What follows is hardly a definitive family history, but a singular interpretation with specific objectives, and a formal response to that age-old question: How did we end up here? I sat down with the elders of my family—parents, aunts, and uncles—and asked about their experiences and remembrances on moving to Houston. Motivated by my growing interest in my family’s history, in Houston history, and as a means to communicate our story to the next generations of La Rottas, including my newborn daughter, I inquired about my family’s preconceptions of Houston and the United States. What were their expectations and what were their realities when they arrived? 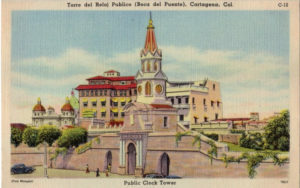 A postcard depicts the Public Clock tower in Cartagena, Colombia where the La Rottas lived. Felipe La Rotta on American perceptions of Colombia. Click here to be redirected the Table of Contents. Our Spring Issue Is Here! 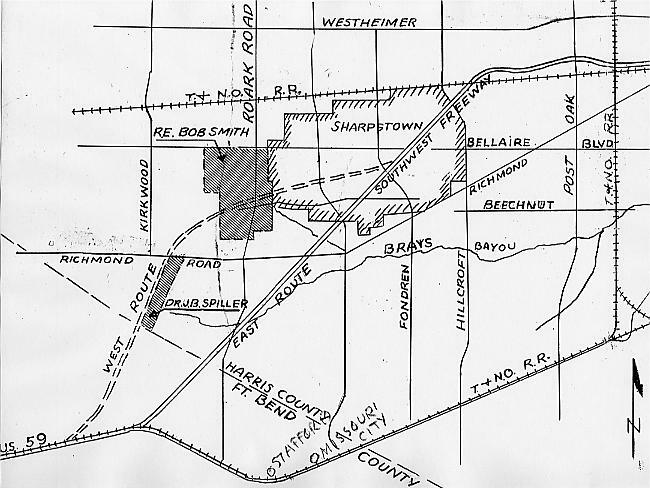 © 2019 Houston History Magazine. All Rights Reserved.